IPTV is a major business opportunity for telcos, content providers, manufacturers, system integrators, service providers and broadcasters. It delivers all the advantages of traditional ‘linear’ TV in terms of service quality, combined with the many benefits the Internet offers in terms of choice and interactivity. In this context, innovative IPTV applications based on global IPTV standards represent an unparalleled commercial opportunity, as well as a booster expanding range of the IPTV ecosystem. This workshop will aim at providing and exchanging information on the trends of IPTV applications and technology, as well as promoting discussion among various stakeholders. 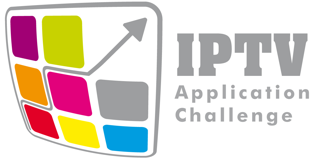 It is organized as part of the ITU IPTV Application Challenge on 25 October at ITU Telecom World 2011.